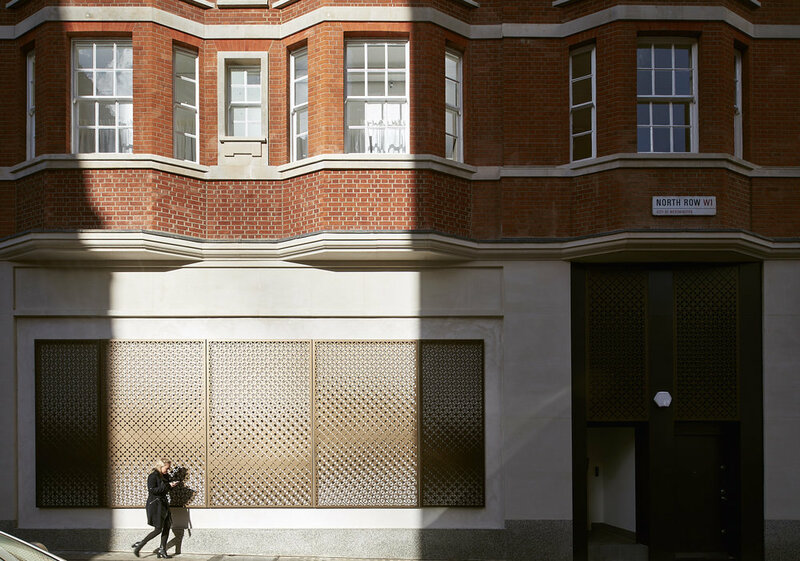 The client, Tribeca Holdings, commissioned the renovation of an existing original period building located at 431-433 Oxford street and 35 North Row. We renovated, replaced and upgraded all of the shop frontage to the corner of Balderton street and oxford street. We enhanced the historical features and materials of the existing building facade by careful renovation, whilst introducing a new unified Portland stone retail frontage with bronze-effect "antique" brass at retail street level. Considerable structural changes were made to create the best possible retail over basement, ground and first with 8 new residential apartments over. The apartments were set out so that they were accessed from North Row to activate thisunder-used 'back road' whilst liberating prime Oxford Street lettable space.